Recent races keep bringing me back to the Westbank weekend after weekend. 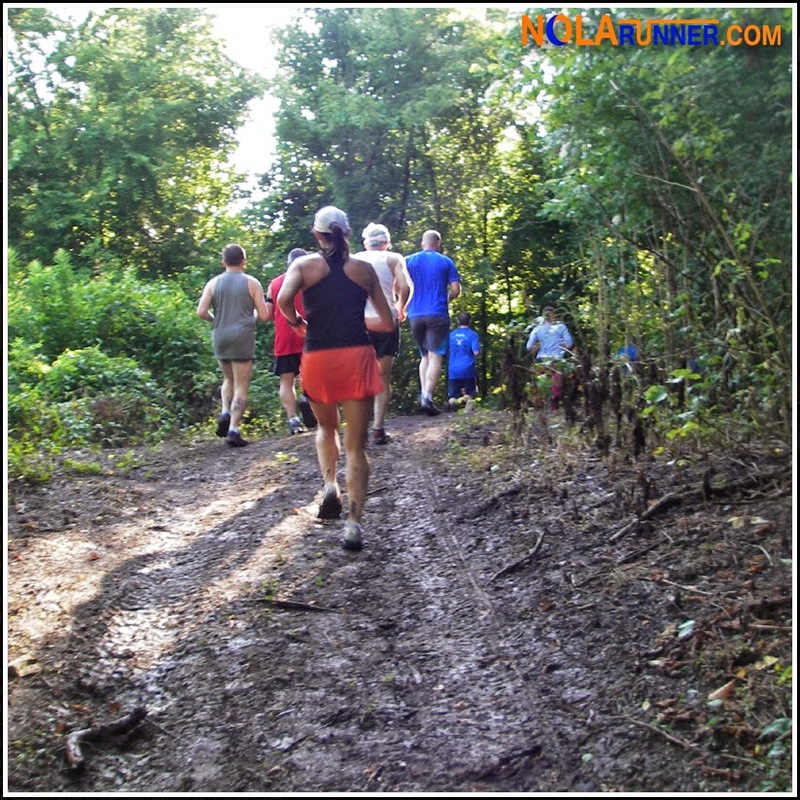 Saturday's Wild Pig Chase Trail Run took runners off the concrete and on to the dirt paths of the Woodlands Conservancy in Belle Chasse. Looking at the address, suburban New Orleans residents would think that the race takes place in a far off land not easily accessible by car. The mystique of traveling to the Westbank from Metairie is blown way out of proportion, and is easily accomplished in 20-30 minutes. Parking for the race is easy, and the informal but organized atmosphere of the pre-race number pickup is simple. However, bug spray is highly encouraged before you arrive at the race site. It is a trail run after all, and the Louisiana state insect is happy to feast on runners as they wait for the race to begin. The course is simple. A straight shot outbound from the starting line along a dirt path that runs parallel to a canal. A quick one-mile loop, followed by running the same path back to the finish. Shrubbery is dense on either side of the path, but the course is clear and well marked by the 4-wheelers that use the area for muddin' throughout the year. One water station is available just past the one-mile marker, and it's passed again just past the second. The entire stretch was well marked and easily maneuverable, even when I was running with no one in my sights. The first and last mile have patches of dirt, which can be approached using one of two methods: go through it or go around it. I chose the path more followed, and went around the mud pits. This option is bumpier and longer, and the roots from the surrounding trees wreaked havoc on my ankles. I slowed down significantly for the first and third mile to maintain my footing, and successfully completed the course without face-planting for a free mud mask. I didn't get to enjoy the post-race festivities as much as I would have liked, as I had to get back to Metairie for a birthday party. However, homemade BBQ pork sliders waited for participants to finish. Lines for the hose to wash off were longer than those for food. All participants finishing the race received a commemorative koozie for their accomplishment. I like this race series, as it offers a no-frills unique perspective on running in the New Orleans area. The cost for running each of the races is reasonable, and I get to explore running routes that aren't part of my regular routine. However, I don't personally need three shirts for participating in each of the races. While they are super soft and comfortable, a "no-shirt" option at a lower price point would be something I'd seriously consider. 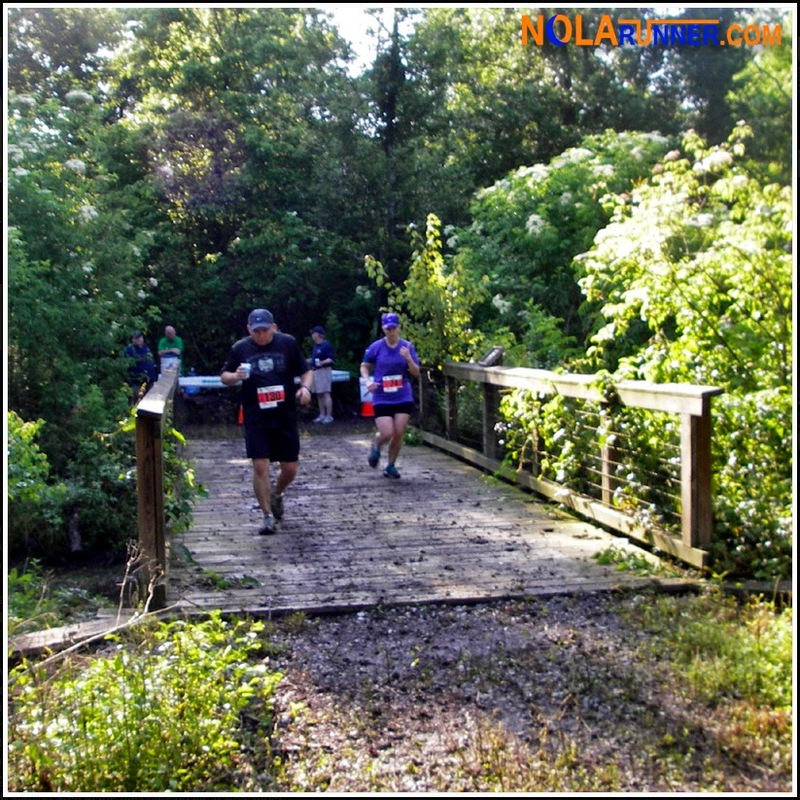 The Wild Pig Chase is the first event in the NOLA Trail Run Series, now in its second year. At the conclusion of the three races in the series, participants who ran each will receive a special award. If you missed out on this race, it's not too late to participate in the other two. Get a preview by reading my recaps of those two races last year: The Coyote Chase 2 Miler & The Armadillo Dash 5K. Registration for both is available HERE. Check out the photo gallery from this year's Wild Pig Chase Trail Run below. 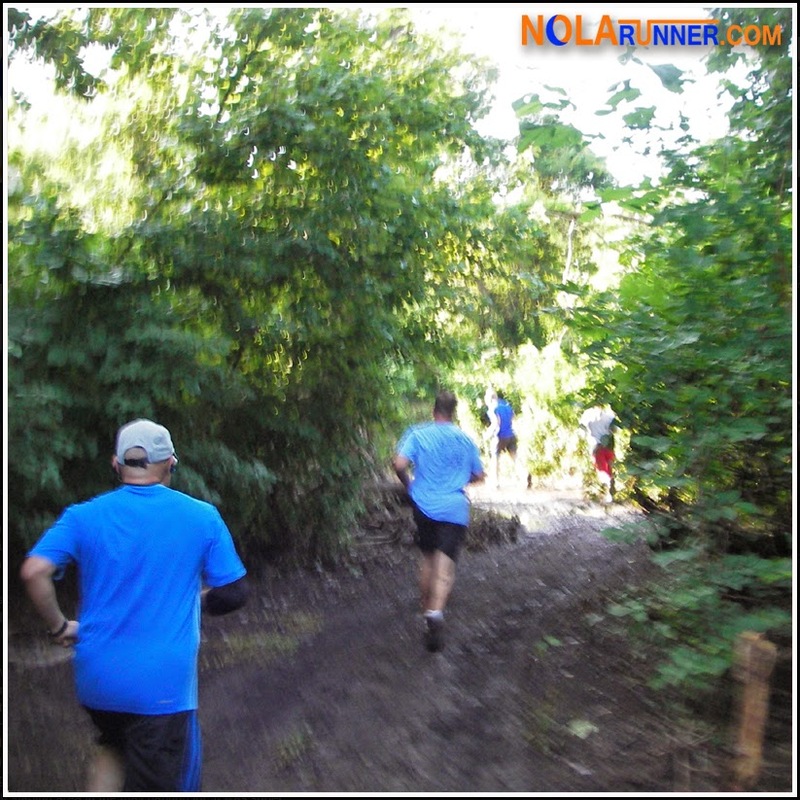 If you can't see the gallery, LIKE the NOLArunner Facebook profile HERE. Great recap. I truly wish local running organizations would offer a no t-shirt option for every race. I'd even be down for a bling-free race if that keeps costs from reaching high levels, in races where that applies. I've been enjoying races more over the past year for the experience rather than the things by which to remember them. Remind me about the other 2 trail races and perhaps I'll tag along! I hope you do join us for the next two, Katherine! I think you'd really like the 2 miler in City Park on June 28th.